ARCHIVED Akron Society of Artists offers up exquisite jewels of small paintings in new show; check out gallery hours! 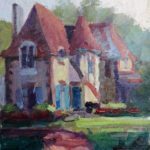 You are here: Home / ARCHIVED Akron Society of Artists offers up exquisite jewels of small paintings in new show; check out gallery hours! 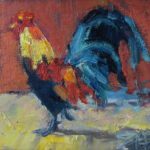 Akron Society of Artists offers up exquisite jewels of small paintings in new show; check out gallery hours! Saturday, December 9, 16 & 23, noon-5. 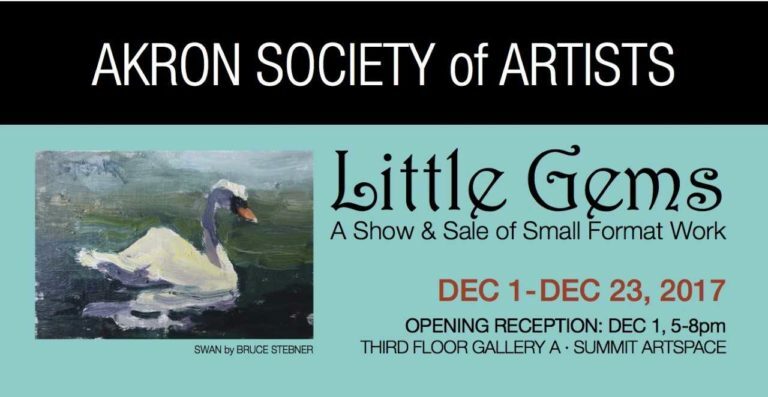 A holiday show/sale featuring small art work of any genre, no larger than 8×10 from the members of the Akron Society of Artists. The gallery will be open specific dates for public viewing: Saturday, December 2, from noon to 9 pm; Saturday December 9, 16 & 23 from noon to 5 pm; and Thursday, December 21 from 5-9 pm. ASA offers weekly Wednesday evening programming September through May, featuring member critiques, technique demonstrations and art history presentations. On Tuesdays, artists meet to paint landscapes en plein air during the summer and fall months and still life subjects in the studio throughout the winter. On Friday mornings, artists meet in the studio on the third floor of Summit Artspace to work from a live model in life or character poses. Dedicated to education, ASA offers nationally-acclaimed artist workshops throughout the year and members have the first opportunity to register. ASA has it’s own gallery space which offers artists the opportunity to exhibit and sell their work via monthly exhibits which are coordinated with other shows in the Summit Artspace building. The group’s studio and gallery is on the third floor of Summit Artspace, 140 E. Market St. in Akron – one block east of the Akron Art Museum.